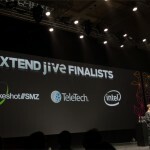 Pokeshot///SMZ has been named a 2013 Jive Award winner in the Extend Jive category for its social learning management solution Pokeshot///SmarterPath. 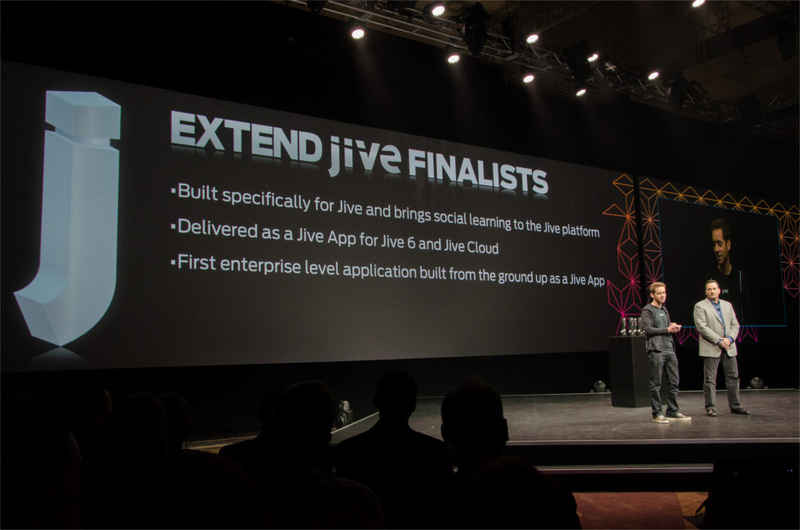 On October 24th at 5 p.m., during the closing festivities of the JiveWorld13 in Las Vegas, the moment had come to announce the 2013 Jive Award winners. Co-Founder Matt Tucker and Director for Platform & Ecosystem Mark Weitzel took the main stage and called out the names of the award recipients, which included Pokeshot///SMZ for its new tool Pokeshot///SmarterPath, a social LMS for Jive-powered networks. 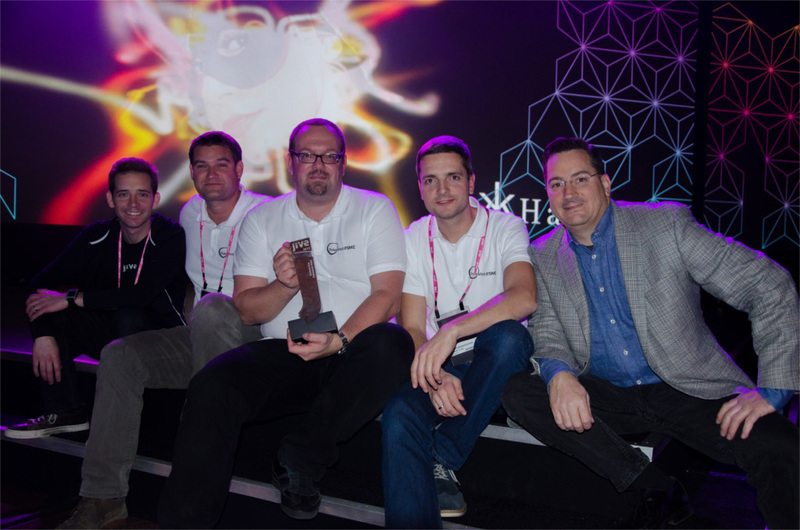 “As a company dedicated to pushing the boundaries of social business technologies, we’re thrilled to be honored for our work by Jive Software, the world’s leader in social business,” said Stephan Müller-Ziebur, managing partner at Pokeshot///SMZ. 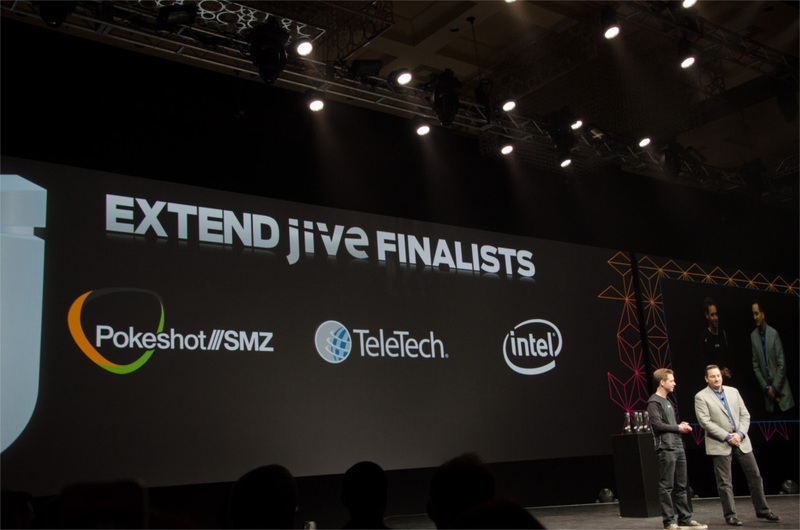 “To us, it validates our mission of helping organizations solve real-world business challenges with targeted, customizable solutions.” The 2013 Jive Awards were selected by a prestigious group of judges that included external influencers and thought leaders, previous Jive Award winners and Jive senior leadership. 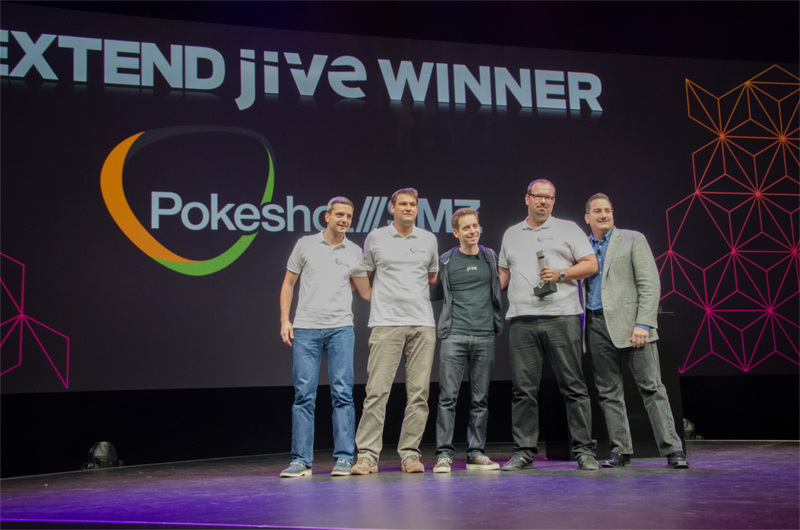 Pokeshot///SMZ is a member of the Jive Partner Network as well as one of the first ISVs to build products specifically for the Jive platform. 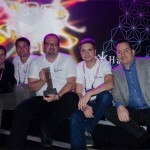 So it comes as no surprise that the Berlin-based social business solution provider is now being recognized for its product development achievements. 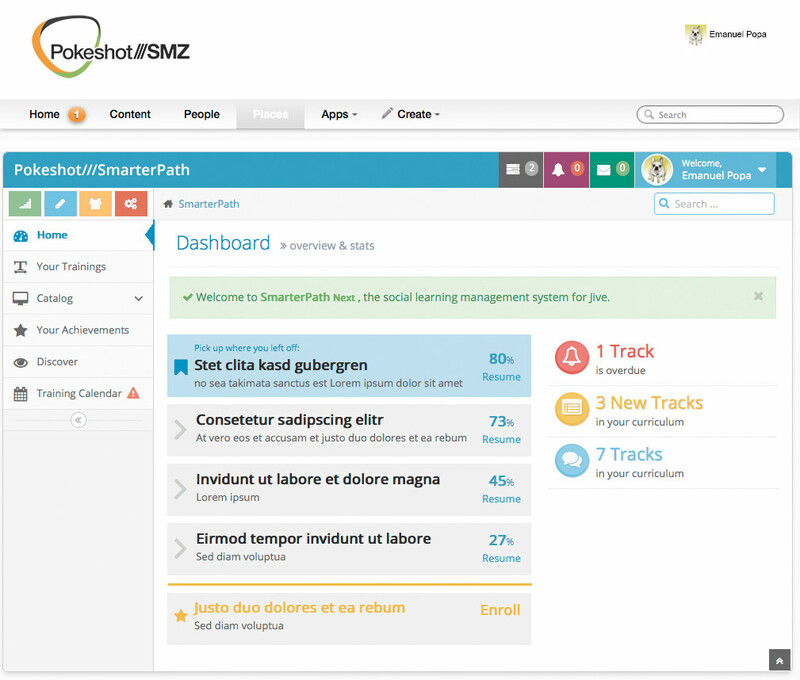 With its new add-on Pokeshot///SmarterPath, Pokeshot///SMZ enables Jive customers to tap the potential of social learning management and optimize employee onboarding programs as well as sales and partner enablement. Pokeshot///SmarterPath is, however, just one of the many products that Pokeshot///SMZ has been presenting to JiveWorld13 attendees. Since the beginning of this year, the company has been building and marketing products for the leading social business software as an official Jive Technology and Consulting Partner. Our development and implementation of new product ideas focuses on extending the capabilities of Jive’s core platform and helping customers get even more out of their Jive investment. By leveraging add-ons like Pokeshot///SmarterPath and Translation Manager, and connectors for Lotus Notes, IBM Sametime and Cisco Jabber, organizations that have Jive-based networks can better meet the needs of their community members and seamlessly integrate existing IT systems into their social business environment. Pokeshot///SMZ is continuing to develop new products and solutions that expand the benefits of Jive. Good examples are the new add-ons – Security Extension, Extended Document Rendering and Confluence Integration – that the company unveiled at JiveWorld13 for the first time. 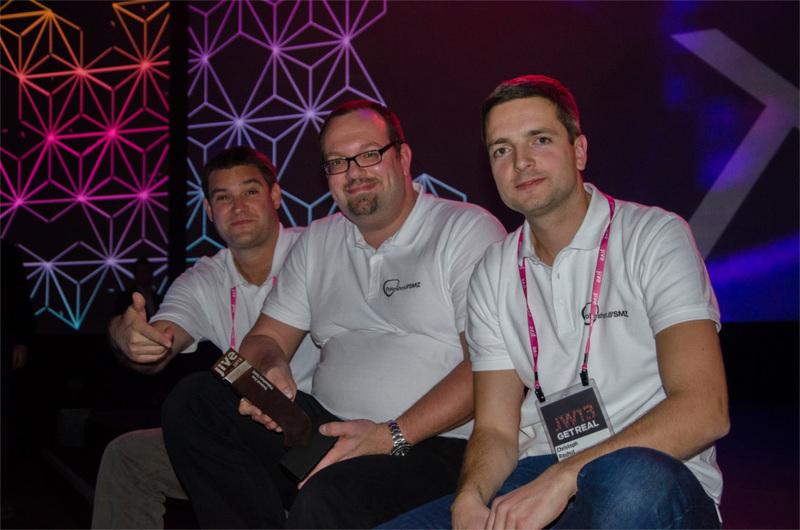 Founded by one of the first Jive developers outside of Jive Software and the first Jive employee in EMEA, Pokeshot///SMZ has been working with and for Jive for over 7 years, supporting companies such as Adidas, PwC, Audi, UBM and Jive. Contact us to find out how we can help your organization get the best results from social business technologies. Pokeshot///SmarterPath is the first enterprise level application built from the ground up on the Jive platform, rather than as a standalone system. As a result, it combines the best of social business with powerful corporate learning and enablement capabilities. Instructors can leverage content directly from Jive as well as quizzes, HD video and online trainings to build their courses. Participants can progress through learning paths while they work in Jive, and use the familiar Jive features to collaborate with their peers. 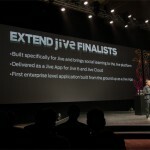 It also allows Jive to honor a partnering company that has made important contributions to the evolution of the Jive ecosystem, taking into account factors such as sharing best practices and code and frequently participating in the Jive developer community, user groups, hackathons, open social and other developer initiatives.